I'm kinda obsessed with fonts. 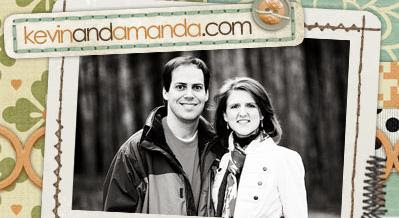 That's how I discovered Kevin & Amanda's blog. Free fonts. That's the first reason I like them - they'll even take your handwriting sample and make it a font. For free. As in Jamie New Roman. The second reason is great photographs. Grrr-reat. And finally they're from Alabama. We have to stick together. Redbox is bringing me up to speed on Academy Award winning films. The Young Victoria won for costume design. And it won me over for sure with its history refresher and great frocks. I already liked Emily Blunt since Sunshine Cleaning and of course, The Devil Wears Prada. And its PG. Hard to believe they still make those for adults. Sara Bareilles makes fabulous poppy piano music. And I like it. And her. She's saucy. Her first major-label album Little Voice was huge and her next album Kaleidoscope Heart releases later this summer. I will wait. Impatiently. Enjoy this cover of Take On Me - yes, that one. Disclaimer: Now that I've written 69 of these, it's probably time to mention I don't recommend anything because I get it free or because I have some sort of illicit relationship with an author or producer or musician. I save all of those questionable dealings for owners of Chick-Fil-A restaurants.